At The Park Vista we will enjoy a stay in the One King Bed City View Room on our honeymoon. Our romantic retreat boasts a work desk with high-speed Internet access, a mini refrigerator, a 42-inch HD LCD TV, and fine furnishings. This charming room promises us a king size bed featuring Sweet Dreams Bedding and jumbo hypoallergenic pillows, and a bathroom with deluxe bath products. From our balcony, we will take in the amazing views and admire the city of Gatlinburg. 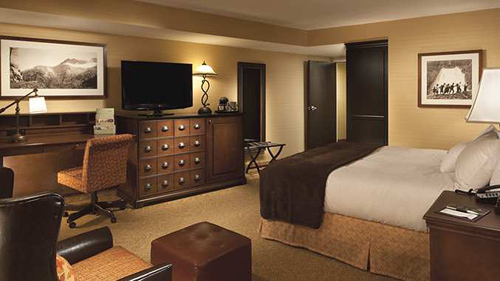 With your lovely wedding gift, we will take delight in a stay in the One King Bed Mountain View Room on our honeymoon. This soothing sanctuary offers us a work desk with high-speed Internet access, a mini refrigerator, a 42-inch HD LCD TV, and fine furnishings. Our Mountain View Room also includes a king size bed featuring Sweet Dreams Bedding and jumbo hypoallergenic pillows, and a bathroom with deluxe bath products. Outside on our balcony, we will enjoy spectacular views of the mesmerizing Great Smoky Mountains! Our honeymoon at The Park Vista promises us a once-in-a-lifetime mountain getaway. The King Deluxe Parlor Suite boasts a living room with a work desk with high-speed Internet access, a mini refrigerator, a 42-inch HD LCD TV, and fine furnishings. This suite also includes a separate bedroom with a 42-inch HD LCD TV, a king size bed featuring Sweet Dreams Bedding and jumbo hypo-allergenic pillows, a bathroom with a shower/tub combination, deluxe bath products, and comfy bathrobes. Outside on our balcony, we will enjoy spectacular views of the mesmerizing surroundings of Gatlinburg! On our romantic honeymoon in Gatlinburg, we will experience pure luxury with room service for a breakfast in bed, a sumptuous lunch, a private dinner or cocktails for two. We will choose from a menu featuring appetizers, assorted salads, sandwiches, entrees, and pizzas with late night selections. In room dining will make our honeymoon that much more memorable from the comfort of our room! Highlighted by panoramic views of Mt. LeConte, the third highest peak in the Great Smoky Mountains, Firefly’s Patio Lounge offers indoor and outdoor seating. Firefly’s is the perfect place for us to enjoy a round of honeymoon drinks. With a light fare menu offered all day, we will enjoy appetizers, salads, sandwiches and after dinner drinks and dessert. 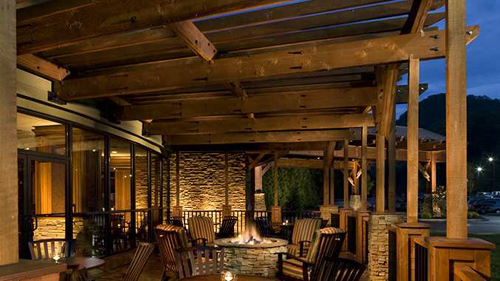 We will relax by the outdoor fire pit and enjoy the fresh mountain air at Firefly’s! The Vista Grill is a full service restaurant offering breakfast, lunch and dinner. 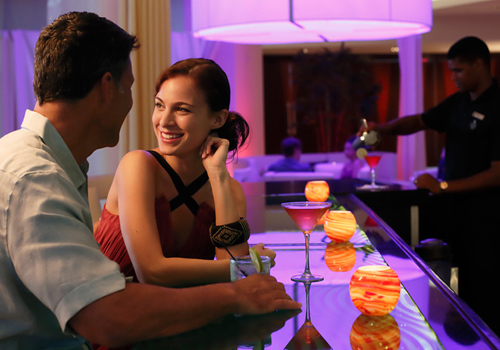 Featuring hearty menus of American cuisine, there is certainly something for everyone to enjoy at the Vista Grill. The restaurant’s elegant interior creates a special atmosphere where we can enjoy a romantic honeymoon meal. We will dine indoors or outside on the patio overlooking the Great Smoky Mountains. 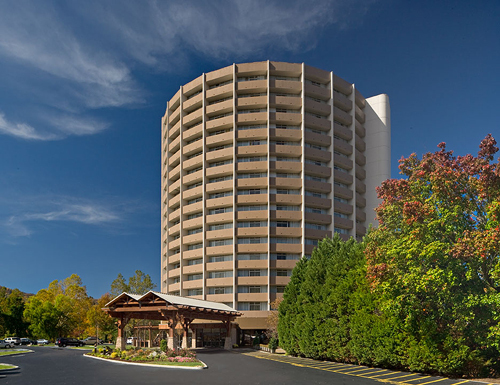 The Park Vista – A DoubleTree by Hilton Hotel Gatlinburg promises us an unforgettable honeymoon in Gatlinburg, Tennessee. Offering sweeping views of the Great Smoky Mountains National Park, our relaxing mountain honeymoon stay boasts delicious dining enhanced by classic concoctions, a gift shop where we can find keepsakes and lavish room service so we can enjoy sweet treats and a bottle of our favorite champagne or wine. 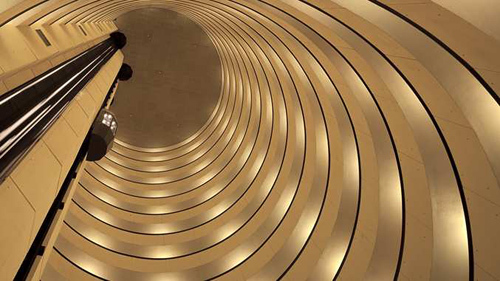 This contemporary high-rise hotel invites us to discover its enchanting charms! Located in Gatlinburg, Tennessee boasting beautifully landscaped gardens and majestic views of the Great Smoky Mountains, this newly renovated DoubleTree brand hotel features 300 accommodating guestrooms and suites. From our private balcony, we will fall in love with the sunrise, city lights and the mysterious “Blue Smoke” indigenous to the mountains. We can unwind in the atrium lobby and enjoy our favorite drinks and appetizers while cozying up to the fireplace in Firefly’s Patio Lounge. In the cool blue pool, we will take a refreshing dip or we can choose from an array of adventures to embark on. Our mountain retreat at The Park Vista – A DoubleTree by Hilton Hotel Gatlinburg offers us an array of lavish amenities and services that will make our honeymoon that much more special! A chilled bottle of champagne will be delivered to our suite. We will make a toast to our romantic honeymoon in Gatlinburg while taking in the sweeping views of the mesmerizing Great Smoky Mountains from our balcony. How romantic! A bottle of our favorite wine will be delivered to our room or suite. 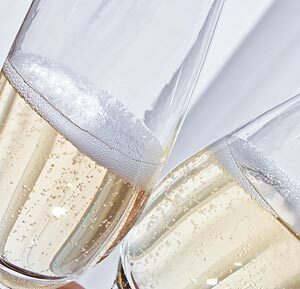 We will make a toast to our honeymoon while taking in the enchanted views of the majestic Great Smoky Mountains. We will discover romance at its best! With your generous wedding gift, our honeymoon will be enhanced with the Honeymoon Package at The Park Vista. Our package includes champagne upon arrival and a continental breakfast served in our room or suite the following morning. The Park Vista hotel also offers a luxurious whirlpool room complete with a spectacular view of the Smoky Mountain National Park from our private balcony. We will receive a $50 daily on-property credit when we book the Leisure Escapes package at our resort. We will then use our credit to enjoy lunch by the pool, celebrate with honeymoon drinks, and indulge in lavish amenities and services, and more.